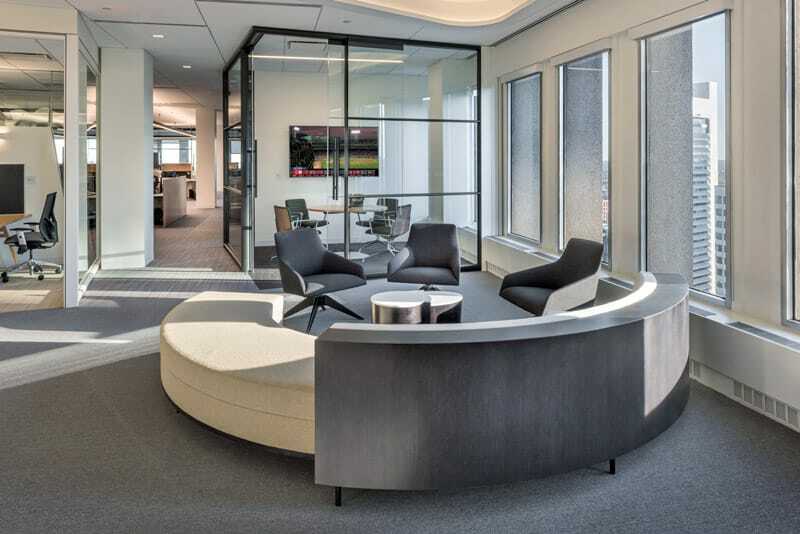 Today’s office space trends are centered on nurturing employees and the spaces they work in, with a focus on incorporating innovative ways to promote strategic business initiatives. Gilbane has completed 5 million square feet in renovations over the past five years in downtown Boston. Client Name: Newmark & Company Real Estate, Inc. 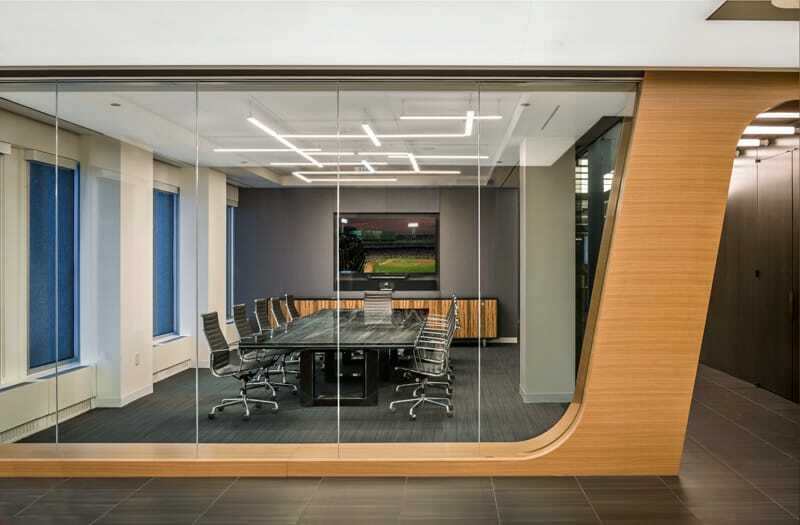 In addition, Gilbane constructed the office space to have 10’ ceilings throughout with full height demountable glass office fronts and clerestory glazing on the side and back walls of all interior offices, to increase the use of natural light throughout. 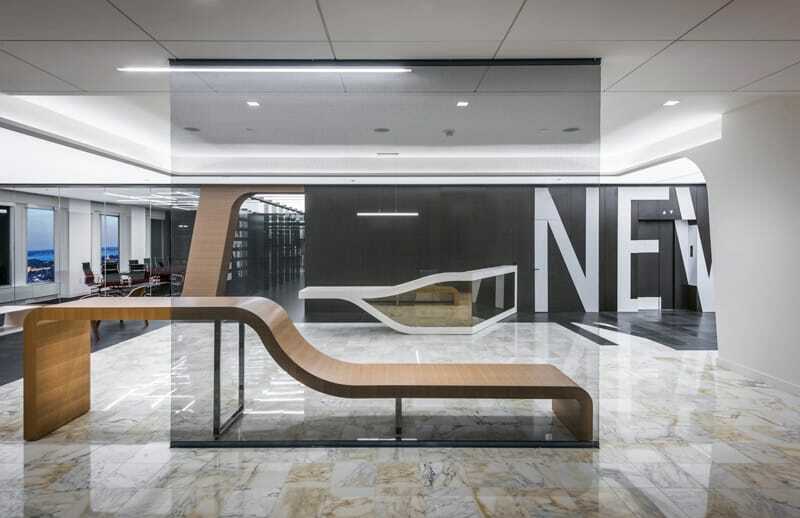 Overall, the new workplace includes offices, conference rooms, collaboration areas, reception, pantry, open seating area, men’s and women’s restrooms and an IT room. To power efficiency on Lean construction projects, Gilbane has invested heavily in technology accelerators that add value for our clients. The high definition survey scanning device was utilized to create on-site surveys with exceptional accuracy, as well as verify existing conditions. The use of Laser scanning supported verification of the quality of work put-in-place, ensured critical dimensions were met (floor level, windows, structure, etc. ).